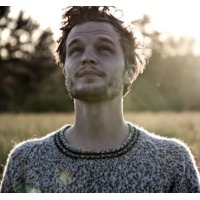 The Tallest Man on Earth is the moniker of folk musician Kristian Matsson of Dalarna, Sweden. Kristian Matsson (born April 30, 1983 in Dalarna, Sweden) plays guitar, banjo and piano. Kristian Matsson also plays in a band called Montezumas.